Rezoning application to develop the site into a 68 storey residential mixed use building for 68 floors (plus mechanical penthouse) and will include 39,810m2 of residential area (85 bachelor units, 300 one-bedrooms, 123 two-bedrooms, and 57 three-bedrooms) and 3,465m2 of retail space. There will be 181 parking spaces provided below grade for residential use. Redevelopment proposal for this building, 80 Bloor St W & Google Maps view. This address is one property west of the building that fronts the NW corner of Bay & Bloor, though with a proposal this size it's a possibility it may be combined (?). Currently it's an office tower, with a couple of retailers at grade and also a Good Life Fitness. The new proposal details does not indicate any replacement office space, which will certainly raise some points of discussion. To its west is the Harry Rosen flagship. Yeah, there's no way the city is going to let that office space go (with that said, I have no idea what the zoning is here). Damn it. Why couldn't they just buy that dingy Scotiabank down the street? Should be around 232m plus or minus 10m, if it is built to that number of floors. 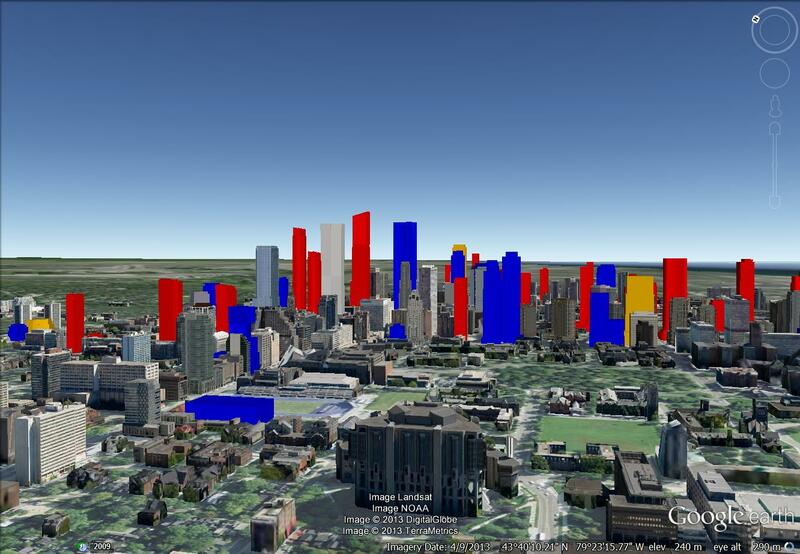 I took all the purely residential towers in Toronto that are or will be at least 180m tall (22 residential buildings built, under construction and proposed) and divided their combined official heights (4.3917 km) by their combined number of floors (1,445 floors), and multiplied that by 68 floors to give a 'typical' official height for a 68-floor residential building of just over 232m. Normalizing each of these 22 purely residential buildings to 68 floors results in a range from 218.6m to 245.7m, with the middle 90% of them falling between 221m and 245m in official height. Developer : Courtot Investments Ltd. If this turns out to be the case, it might end up a lot more than 232m in height. The Jean Nouvel tower is designed at 320m and 72 floors, so 68 floors at the same ratio would be 302m. Plus of course being a very definite "non-box". 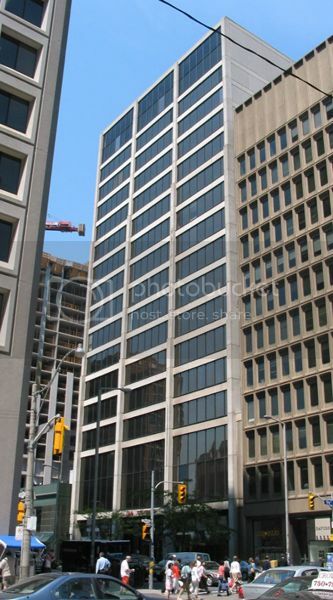 edit -- although now that I see those July 2012 renders, 80 Bloor West is not nearly as elongated at the MoMO proposal. But it could still be in the 250m-260m range. Is aA designing the tower, or are those renderings just an exercise? I doubt the MoMA Tower inspiration has anything to do with floor heights. Wow, that would be something!